Safety Devices are pleased to announce their support for the 2016 BMW 330 Challenge, the sister championship to the hugely popular and successful BMW Compact Championship. 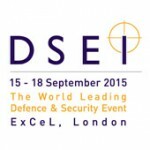 DSEI (Defence & Security Equipment International), the world's leading Land, Sea and Air Defence and Security exhibition, "kicks off" at ExCeL London from 15-18 September 2015. Following on from the summer installation promotion we are currently running, Safety Devices customer Mark contacted us for a external roll cage for his Defender 110. To celebrate the opening of our new workshop we are offering 25% discounts on all Land Rover installations for summer 2015. Safety Devices has just created a new online shop for selling our range of accessories, along with a great selection of merchandise. Safety Devices have just released a new product for the Defender 110 2-door Soft Top.